Pam's Crafty Creations: Happy 2019! I hope you rang in the new year with family and friends safely! I rang in mine with my family watching a movie and playing some new games we received for Christmas. All was fun until after midnight as we're all heading to bed and the power goes out! I thought my husband was just messing with us at first but nope, someone had hit a power pole. Our temperature was at the lowest so far too, -3 with a windchill of -21! I feared it would be a very chilly night and we would be starting a fire in the fireplace to warm the house, but 2 hours later the house lights came on and the heat. So grateful for the linemen that get out in the frigid cold to get power restored! Now that you know my new years fun, below are the Close To My Heart Fun for January! We have a new Idea Book with 4 beautiful new paper packets and this year we are celebrating 35 Years!! 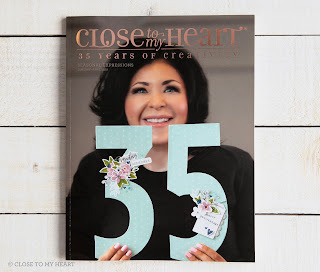 Isn't this cover so beautiful of Jeanette with the Chipboard Monogram numbers decorated to celebrate 35 years of her dream which is Close To My Heart! You can view the Idea Book online by clicking HERE. 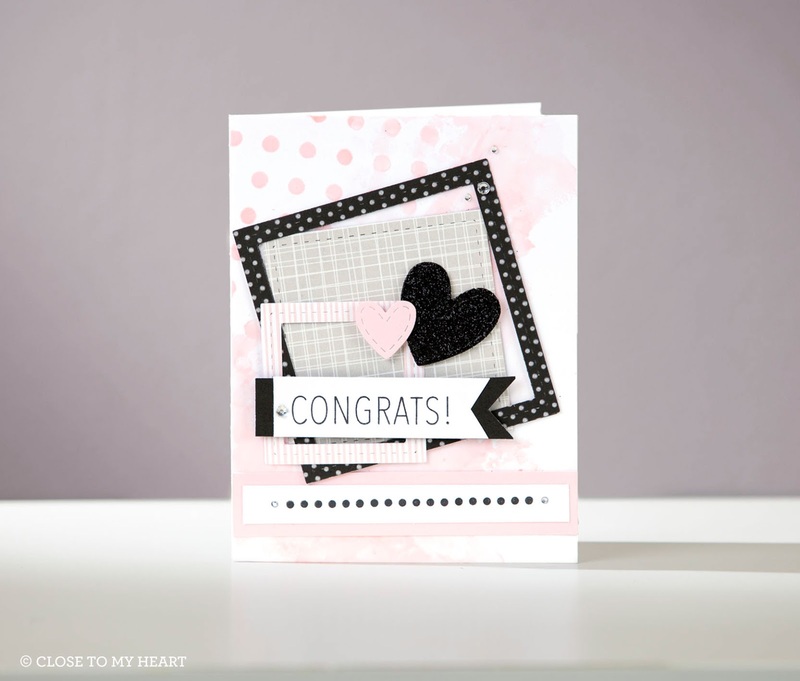 The January Special is to celebrate National Papercrafting Month and is called Frame It Up. 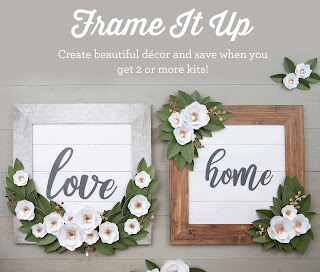 The Magnolia Frame Kit gives you the materials to create beautiful papercrafted decor. There are so many different ways to use this versatile kit, which is why CTMH is offering special pricing when you buy more than one! You can shop this special by clicking HERE. 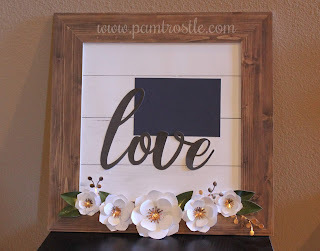 Below is my frame I created for my home. I placed a Sapphire photo mat above the "Love" to place our family photo when it arrives. Another Special that is offered through the end of February is called Heart Happy. You can purchase this as a Workshop Kit or individual products. Shop the Heart Happy collection HERE. 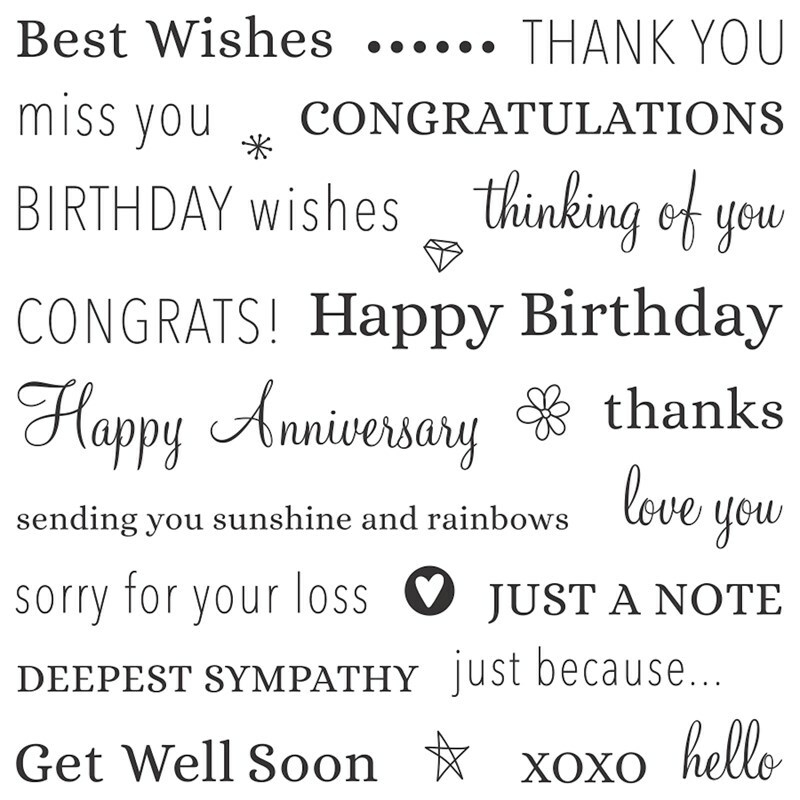 And lastly the January Stamp of the Month stamp set Card Captions. 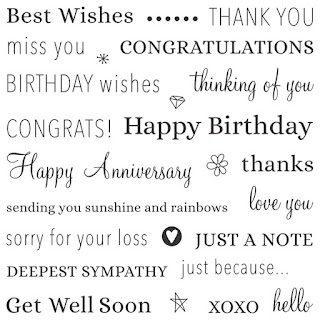 You can purchase this stamp set for the retail price of $18.95 or you can get it for only $5, with a $50 purchase. This set is so versatile, 26 stamps - so many card options! These are the artwork creations from the CTMH Art Department. I'll share some of my artwork using this set in another post soon.